Could this solve TSA's security line problems? The answer to long airport security lines could be our furry four-legged friends. 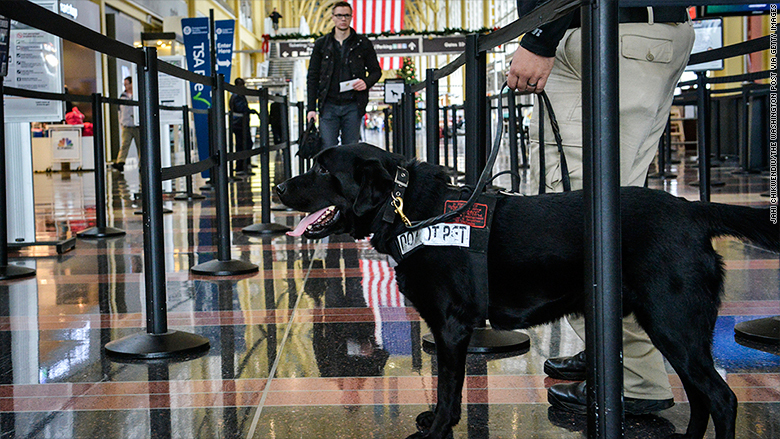 Explosive-detecting canines help make the screening process faster by clearing some travelers to go through Precheck security lanes, which move much faster because passengers don't have to remove their shoes and belts or take out liquids or laptops. 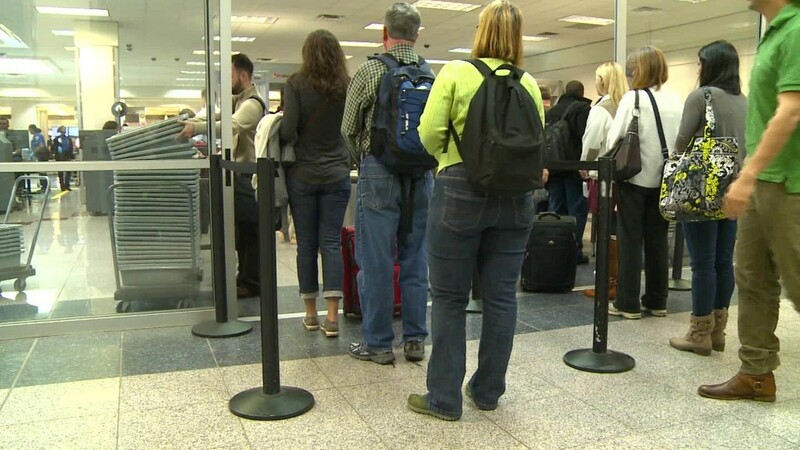 The TSA reports that 75% of Precheck lanes moved people through in under 10 minutes on Monday. The Precheck program normally requires an application and background check and costs $85 for five years of clearance. But a bomb-sniffing dog can clear a passenger for the Precheck lane, even without the background check. Related: Who's to blame for the marathon airport security lines? And the extra assistance is definitely in demand. Checkpoint lines across the country have reached marathon lengths thanks to an influx of passengers, with one- or even two-hour wait times being reported in recent weeks. The TSA has announced the hiring of more than 750 officers by mid-June and added more part time and overtime hours to help alleviate some of the congestion. The agency is also relocating dogs to help out at the busiest airports. The worry is the lines are only going to get worse once the summer travel season kicks off. A record number of fliers are expected to hit the skies this summer, according to Airlines of America, with more than 231 million passengers estimated to fly domestically. Having additional canines on duty can help keep lines moving since they can typically screen 1,000 passengers a day. Earlier this week, Chicago's two airports told fliers to plan to arrive three hours ahead of their departure time due to extra-long security lines. The TSA said it would send five dogs to Chicago to help reduce wait times. The new canine backup team will allow the airports to screen an additional 5,000 passengers per day, according to the agency, which will help double the number of people moving through Precheck. American Airline's chief operating officer told employees on Wednesday that it was looking to help fund more canine teams. A representative from the airline, which had 450 customers miss their flights at O'Hare on Sunday because they didn't make it through security in time, said security dogs help keep lines from backing up. "When they have the dogs at the lines it goes really smoothly and it is a really great process," said Leslie Scott, spokeswoman for American (AAL). But adding more dogs isn't a cure-all since the training process is long. It takes nine months to train canine teams to be able to detect a variety of explosives and they have to recertify every year.